Who Knew Lynyrd Skynyrd Was Still Around? I thought this band stopped playing after a plane crash took the lives of most of the band members in the 1970s. All I can say is that if you think the band’s decision to remove the Confederate flag as a stage backdrop makes them any more or less southern then you, my friend, are an idiot. Don’t worry, you still have a guy from Michigan who will keep southern heritage alive. And that’s all I have to say ’bout that. Good for them. I saw the re-formed Lynyrd Skynyrd Band (Johnny Van Zant singing), Marshall Tucker, and .38 Special in 1993. It was at a county fair in rural North Carolina. I think my southern identity is safe even without that flag. I see LyNYrd SkyNYrd. New York, New York. They were always Yankee spies. Good one, Dr. Simpson—I didn’t notice that at first! It’s good to see you on here. I was a student at Wofford while you were teaching there—I wish I’d gotten the opportunity to take some of your courses; I did study under Drs. Ross Bayard and Thomas Thoroughman during my time at Wofford. 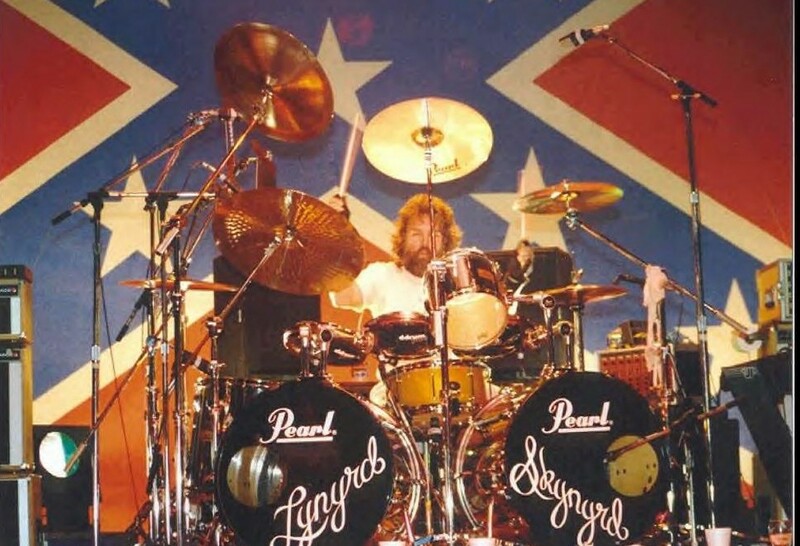 Back when Lynyrd Skynyrd came out I believe their use of the Confederate flag was for cultural self-identification more than to comment on history. More about time, place, and attitude. Along with the Atlanta Rhythm Section, the Marshall Tucker Band, and the Charlie Daniels Band they were the first (to my memory) groups which were distinctly of and about the region. There were other bands to come out of the South, but most had been pop bands in keeping with national influences as opposed to representations of anything cultural (for example, the Box Tops out of Memphis). You can make the case that Elvis was uniquely Southern and he was, but his songs (except for his gospel albums) really didn’t speak to being from Mississippi. And the Allman Brothers Band had as much in common with San Francisco as Macon. R.E.M., later, was Southern but they were representative of the college atmosphere and didn’t often stray into cultural discussions. So you had Skynyrd and A.R.S. come along performing songs about being young, southern, and working class in the decade after the Civil Rights movement’s most turbulent moments. When these groups used the flag it was an icon which was a not so secret handshake which said a)we’re from the South and don’t feel the need to apologize for it, b)we are not college boys, we and our parents work hard and don’t have great prospects over the horizon, and c)we are here to have a good time. Fast forward to 2012 and bands no longer feel the need to connect the dots culturally because everybody listens to every kind of music and those introductions aren’t necessary. So the best representation of what the 70’s groups were about today, the Drive by Truckers (go to YouTube, it will be worth the trip) don’t (to my knowledge) advertise being Southern by using the Confederate flag (to my knowledge and I could be wrong). Long story short, when Lynyrd Skynyrd used the Confederate flag originally, it said something which is no longer necessary to say. So I can understand the change, even if I suspect it feels like a repudiation of something to their older fans. So yes, Skynyrd is still around. And R.E.O. Speedwagon, too, for that matter. Oops, never mind. Fan backlash. Retraction. State rights. Heritage, not hate. Kevin – as culturally aware as you are, I’m shocked. As a former Southern Rock devotee (My favorites were actually the Allman Brothers and Marshall Tucker), LS was always reputed to be the rowdiest of the rowdy – and for good reason. Originally, the use of the Confederate Flag was, I believe, to tell establishment elites to go to hell (as well as to identify with their native region). Given the current state of politics and American culture, I think they believe they can accomplish much of the same thing with Old Glory. You see the same attitude and evolution with another Southern rocker already mentioned – Charlie Daniels. Many of his original tunes were very much Southern oriented and now many have a distinctively American patriotic theme. Both LS and CD have been regulars at Sean Hannity’s Freedom Concerts. These bands pushed back when they saw the South regularly attacked by ruling class elites, now they see the same type of thing going on in the broader culture. Of course, getting paid very well for it doesn’t hurt, though I believe their sentiments are legit and their music reflects this. Sorry to disappoint you, Richard. Isn’t all rock music about telling the establishment elites to piss off? LS surely is no trailblazer in this regard. True, but you can slice and dice it beyond the “establishment.” Besides, the ’60’s radicals who were the original rock ‘n rollers have become the “new” establishment. Besides, the ’60′s radicals who were the original rock ‘n rollers have become the “new” establishment. Rock ‘n roll, like baseball, has no real definitive starting point that anyone can say “it began at this time.” But the roots of Rock music goes back way before the 1950s. In the video, Keith Richards talks about the music people said they were listening to in the 1950s, he was listening to in the 1940s. No disagreement, but the songs that we identify as the beginning of rock are from the 1950s. I believed that for a long time but I’ve heard songs from the 1940s and blues from the 1930s identical or very similar to early rock ‘n roll. Before it was called rock ‘n roll, it was called “boogie woogie.” I think the reason the historical narrative has put it in the 1950s is Elvis more than anything else. Here is another great tune called “Down the Road Apiece” from 1940 by the Will Bradley Trio. It reminds me a lot of Little Richard or Jerry Lee Lewis. And it’s been covered many times, including by the Rolling Stones in the 1960s. Well, yes, but I think we could agree that R & R really came of age in the ’60’s and associated more with what was going on in the country at the time: “anti-establishment” sentiment. Well, I know of at least one, though I would consider myself a ’70’s radical. Like I said, rock music has always been anti-establishment one way or another. Other than that I am not really sure what the point of this thread is. Maybe it is this. If someone can converse with passing fluency on baseball, rock music, and the civil war they are worth getting to know whether we agree on anything else or not.